There aren’t many things I regret about living in Australia. Apart from when I’m face-to-face with a tiger snake, I love living here. But I do wish we celebrated Thanksgiving. When I lived in California, I really embraced the holiday. I love the whole concept. I mean, taking the time to get together with your loved ones and give thanks for all the joy in our lives, with a big feast thrown in. Now that’s what I call a holiday! So to celebrate Thanksgiving from afar this year, I have two treats for you! Treat Number 1. – THE ‘PIE’! There’s chocolate. There are pecans. And you won’t have to turn on the oven. Treat Number 2. – THE ‘BLACK FRIDAY’ SALE! So I’m having a 72-hour sale on my ‘Healthy & Tasty Meals Made Easy‘ eCookbook. Which is packed with ideas for mouth-watering, flavoursome meals using real, fresh ingredients. The SALE ENDS in less than 72-HOURS! PLUS! If you buy during the Black Friday Sale you’ll also get a FREE bonus copy of my ‘Made with Love‘ eCookbook – my go-to guide for edible, home made gifts. This 124 page ebook isn’t available to buy on Stonesoup, it’s only available as a free bonus to people who purchase ‘Healthy & Tasty’ during the Black Friday sale. I’ve used the term pie very loosely here. While there isn’t any pie ‘crust’ the pecan topping give a lovely crunchy nutty contrast to the silky chocolate filling, so you definitely won’t feel like you’re missing out! It’s perfect for entertaining because you can get it all ready well in advance and just leave in the fridge until it’s time to serve. 1. Line a loaf tin with baking paper so the base and sides are covered. 2. Place cream in a small saucepan and bring to a simmer. 3. Meanwhile, roughly chop the chocolate into chunks and place in a bowl. 4. Pour hot cream over the chocolate and allow to stand for 5 minutes so it melts. 5. Stir until smooth then pour into the prepared pan. 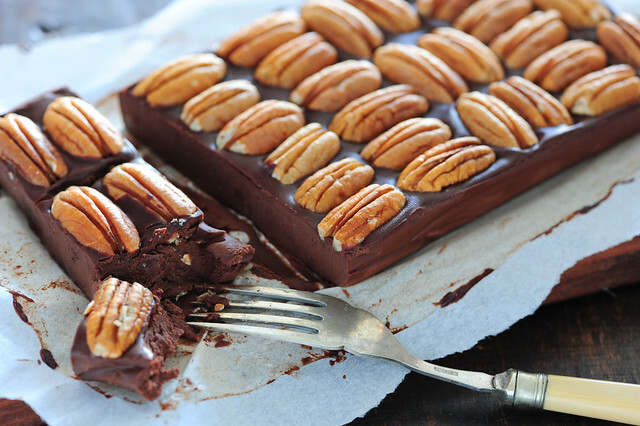 Arrange pecans on top, only using the best looking ones. 6. Refrigerate until set – about 2 hours or more. milk or white chocolate – don’t be tempted to substitute in milk or white chocolate because there won’t be enough cocoa butter coming from the chocolate to ‘set’ the pie. dairy free / paleo – replace the cream with coconut milk OR other dairy-free milk like soy milk or almond milk. The flavour profile will change, but not necessarily in a bad way. proper ‘pie’ – either pour the mixture into a pre-cooked and cooled pie crust. OR crush about 120g (4oz) of plain sweet biscuits (cookies) and mix with 30g (1oz) melted butter and spread over the base of the pan before filling with the chocolate mixture. different nuts – feel free to use other nuts like almonds, brazil nuts, walnuts or cashews. ps. 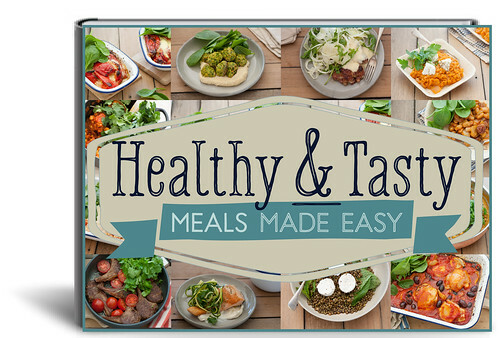 Not sure if ‘Healthy & Tasty Meals Made Easy is right for you? pps. The sale ENDS in less than 72-hours. I won’t be sending any reminders. Thanks Jules, I bought to book. Looks fantastic. 2017 is going to be my year, with some help from you. And I hope 2017 brings everything you’re hoping for. I have some big plans for the new year too! You say use 70% cocoa solids chocolate with this recipe. I also see 85% and 90% cocoa solids chocolate in my supermarket. Will these work as well? Or do we do we definitely need to use 70% only? 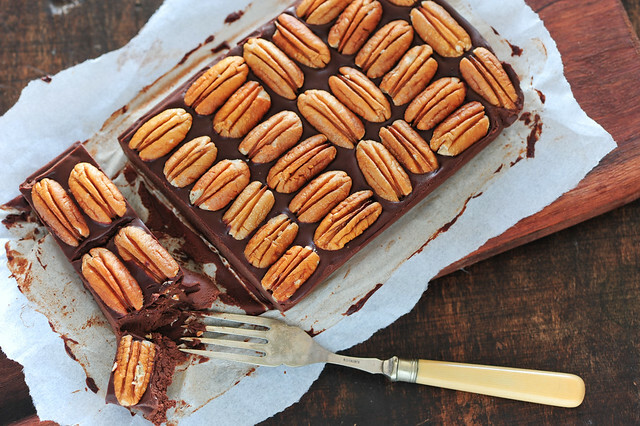 I love chocolate and pecans. Yum! Hmmm. Would using chocolate biscuits for a crust be overkill? Yes higher cocoa solids will work Gina… and what I used last time I made it. The only thing is it will be less sweet which is fine for me but some people may like to add a little something to increrase the sweetness. I am going to make this and I am pretty darn confident that I will eat the whole thing all by myself! I made two batches of these last weekend for our singing convention, one with whipping cream and one with coconut milk, and 72% chocolate. They were inhaled almost instantly and people were clammering for more! I prefer the coconut ones but both versions were delicious!! 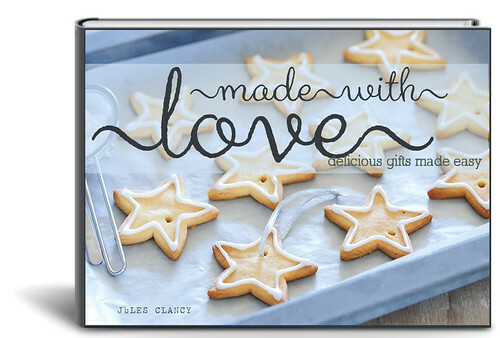 I love how simple they are to make, though cutting them is a challenge because it’s tempting to eat them as you go! Jules! Just put my first batch of this in the fridge — with hazelnuts due to my Belgian roots. So glad to discover you today via Clothilde DuSoulier’s C&Z monthly post. Love your simplicity. And now I’m seeing and *mightily coveting* your e-book Made With Love. Did I mention I’m MIGHTILY COVETING this? If there is any way to get or purchase this, I will be MIGHTILY GRATEFUL is you PM me. Thanks, mate!